PyCon 2018 is the largest annual gathering for developers and users of the open-source Python programming language. This year’s conference takes place at the Huntington Convention Center, May 11-13. PyCon is a diverse conference, dedicated to providing an enjoyable experience to people at all skill levels. Its mission is to grow the international community of Python programmers. Attendees can join both scheduled and lightning talks, or drop in to the unconference running throughout the event. 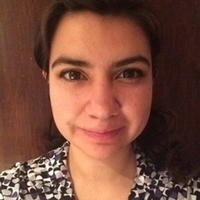 Eva Bojorges Rodriguez, a Toptal developer and Community Lead for Latin America, will give a talk titled Python for models. Presenting in Spanish language, Eva will demonstrate how Python can help simulate real-life situations and create models that resemble reality to make correct decisions. Eva will share several tips, and will show examples of how probabilistic models have helped her make strategic decisions. Join Eva on Friday, May 11th, from 4:30 pm-5 pm in Room 25C. For more information and to get tickets, please see the event website. Your message to Eva was sent.